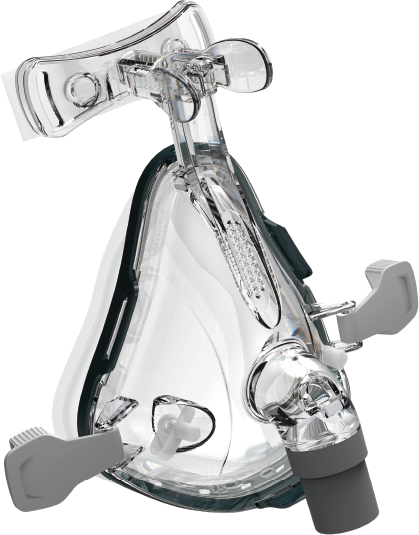 F1B, double-cushion facial mask, is able to provide you with excellent respiratory care. Humanized design makes the therapy as comfortable as possible. F1B, double-cushion facial mask, is able to provide you with excellent respiratory care. Humanized design makes the therapy as comfortable as possible. Humanized-design forehead adjustment enables you to find the most suitable level for your forehead and ensures the premium comfort of mask-fitting . effectively reduce more dead space. With double in-built oxygen port, it makes your connection to oxygen so convenient.